We have learned a remarkable process that allow us to be highly focused, and we have learned a tool of trade we can now repeat. This has been of tremendous value to us. Over the last three years the National Science Foundation I-Corps has taught over 700 teams of scientists how to commercialize their technology and how to fail less, increasing their odds for commercial success. For the last 10 weeks 19 teams in therapeutics, diagnostics and medical devices from the National Institutes of Health (from four of the largest institutes; NCI, NHBLI, NINDS, and NCATS) have gone through the I-Corps at NIH. 87 researchers and clinicians spoke to 2,120 customers, tested 695 hypotheses and pivoted 215 times. Every team spoke to over 100 customers. The NIH teams weren’t just teams with ideas, they were fully formed companies with CEO’s and Principal Investigators who already had received a $150,000 grant from the NIH. With that SBIR-Phase 1 funding the teams were trying to establish the technical merit, feasibility, and commercial potential of their technology. Many will apply for a Phase II grant of up to $1 million to continue their R&D efforts. Could companies who were already pursuing a business model be convinced to revisit their key commercialization hypotheses – and iterate and pivot if needed? Was getting the Principal Investigators and CEO out of the building more effective than the traditional NIH model of bringing in outside consultants to do commercialization planning? Would our style of being relentlessly direct with senior scientists, who hadn’t had their work questioned in this fashion since their PhD orals, work with the NIH teams? We’ve learned that information from 100 customers is just at the edge of having sufficient data to validate/invalidate a company’s business model hypotheses. As for whether you can/should push scientists past their comfort zone, the evidence is clear – there is no other program that gets teams anywhere close to talking to 100 customers. The reason? For entrepreneurs to get out of the building at this speed and scale is an unnatural act. It’s hard, there are lots of other demands on their time, etc. But we push and cajole hard, (our phrase is we’re relentlessly direct,) knowing that while they might find it uncomfortable the first three days of the class, they come out thanking us. The experience is demanding but time and again we have seen I-Corps teams transform their business assumptions. This direct interaction with potential users and customers is essential to commercialize science (whether to license the technology or launch a startup.) This process can’t be outsourced. These teams saved years and millions of dollars for themselves, the NIH and the U.S. taxpayer. Evidence is now in-hand that with I-Corps@NIH the NIH has the most effective program for commercializing science. Every week of this 10 week class, teams present a summary of what they learned from their customers interviews. For the final presentation each team created a two minute video about their 10-week journey and a 8-minute PowerPoint presentation to tell us where they started, what they learned, how they learned it, and where they’re going. This “Lessons Learned” presentation is much different than a traditional demo day. It gives us a sense of the learning, velocity and trajectory of the teams, rather than a demo day showing us how smart they are at a single point in time. This video from team BCN Biosciences describes what the intensity, urgency, velocity and trajectory of an I-Corps team felt like. Like a startup it’s relentless. BCN is developing a drug that increases anti-cancer effect of radiation in lung cancer (and/or reduces normal tissue damage by at least 40%). They were certain their customers were Radiation Oncologists, that MOA data was needed, that they needed to have Phase 1 trial data to license their product, and needed >$5 million and 6 years. After 10 weeks and 100 interviews, they learned that these hypotheses were wrong. The I-Corps experience helped the BCN Bioscience team develop an entirely new set set of business model hypotheses – this time validated by customers and partners. The “money slides” for BCN Biosciences are slides 22 and 23. What we hear time and again from the Principal Investigators is “I never would have known this” or “I wouldn’t have understood it if I hadn’t heard it myself.” Up until now the NIH model of commercialization treated a Principal Investigator as someone who can’t be bothered to get out of the building (let alone insist that it’s part of their job in commercialization.) In the 21st century using proxies to get out of the building is like using barbers as surgeons. While the Clinacuity video sounds like an ad for customer discovery, listen to what they said then look at their slides. This team really learned outside the building. Clinacuity’s technology automatically extracts data in real-time from clinical notes, (the narrative text documents in a Electronic Health Record,) and provides a summary in real time. Their diagrams of the healthcare customer segment in slides 15-18 were outstanding. The GigaGen team – making recombinant gamma globulin – holds the record for customer discovery – 163 customer interviews on multiple continents. GigaGen’s learning on customer value proposition and who were the real stakeholders was a revelation. Their next-to-last slide on Activities, Resouces and Partners put the pieces together. Affinity came into class with a drug coated Arterial Venous Graft – graft narrowing is a big problem. One of things we tell all the teams is that we’re not going to critique their clinical or biological hypotheses. Yet we know that by getting out of the building their interaction with customers might do just that. That’s what happened to Affinity. Affinity was a great example of a team that pivoted their MVP. They realized they might have a completely new product – Vascular wraps that can reduce graft infection. See slides 17-23. Haro is making a drug for the treatment of high risk neuroblastoma, the most common extracranial cancer in infancy and childhood. On day 1 of the class I told the team, “Your presentation is different from the others – and not in a good way.” That’s not how I described them in the final presentation. After 120 interviews the Haro found that there are oncology organizations (NCI-funded clinical development partners) that will take Haro’s compound and develop it at their own expense and take it all the way into the clinic. This will save Haro tens of millions of dollars in development cost. See slides 12 and 13. After 80 interviews they realized they were jumping to conclusions and imparting their bias into the process. Take a look at slides 8-11 and see their course correction. The other 15 presentations were equally impressive. Each and every team stood up and delivered. And in ways that surprised themselves. The Lean Startup approach (hypotheses testing outside the building,) was the first time clinicians and researchers understood that talking to customers didn’t require sales, marketing or an MBA – that they themselves could do a pretty good first pass. I-Corps at NIH just gave us more evidence that’s true. The team videos and slides are on SlideShare here. This blog post may make it sound like there was no one else in the room but me and the teams. But nothing could be farther from the truth. The I-Corps@NIH teaching team was led by Edmund Pendleton. Allan May/Jonathan Fay taught medical devices, John Blaho/Bob Storey taught diagnostics and Karl Handelsman/Keith McGreggor taught therapeutics. Andre Marquis, Frank Rimalovski and Dean Chang provided additional expertise. Brandy Nagel was our tireless teaching assistant. Jerry Engel is the NSF I-Corps faculty director. Special thanks to Paul Yock of Stanford Biodesign and Alexander Osterwalder for flying across the country/world to be part of the teaching team. I created the I-Corps/Lean LaunchPad® syllabus/curriculum, and with guidance from Allan May, Karl Handelsman Abhas Gupta and Todd Morrill adapted it for Life Sciences/Health Care/Digital Health. The team from VentureWell provided the logistical support. The I-Corps program is run by the National Science Foundation (Babu Dasgupta, Don Millard and Anita LaSalle.) And of course none of this would be possible without the tremendous and enthusiastic support and encouragement of Michael Weingarten the director of the NIH/NCI SBIR program and his team. the way I think. This is one of those. For the past three years the National Science Foundation Innovation Corps has been teaching our nations best scientists how to build a Lean Startup. Close to 400 teams in robotics, computer science, materials science, geoscience, etc. have learned how to use business models, get out of the building to test their hypotheses and minimum viable product. However, business models in the Life Sciences are a bit more complicated than those in software, web/mobile or hardware. 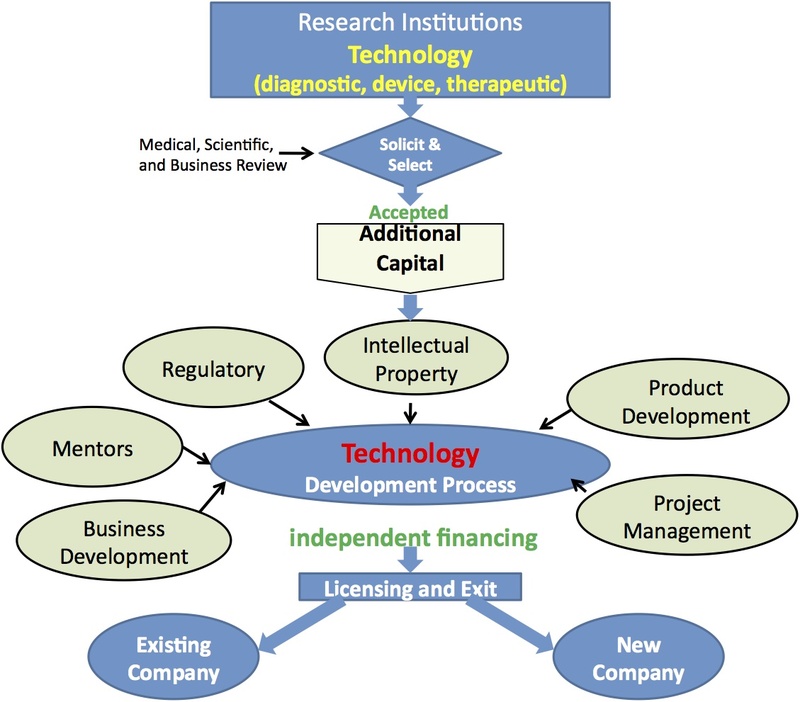 Startups in the Life Sciences (therapeutics, diagnostics, devices, digital health, etc.) also have to understand the complexities of reimbursement, regulation, intellectual property and clinical trials. 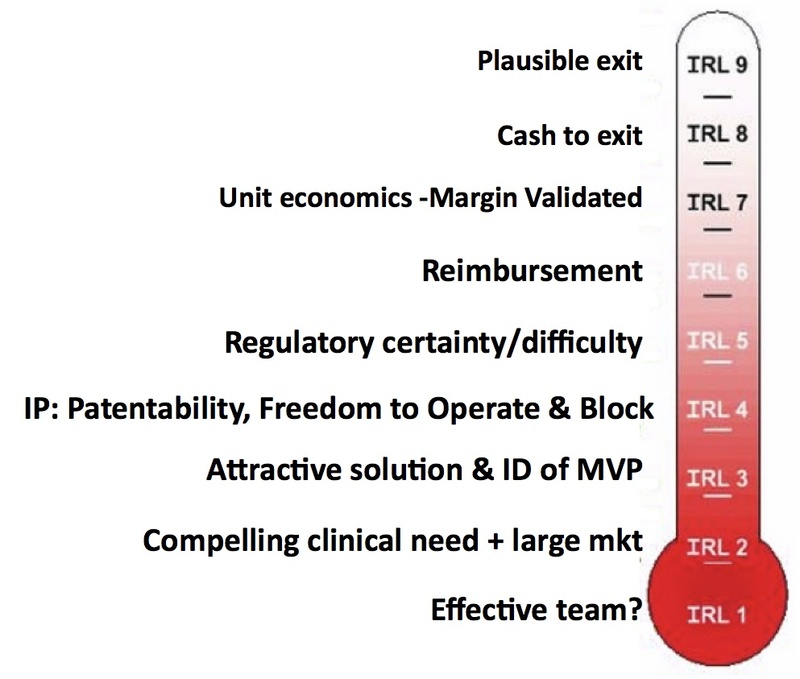 Last fall we prototyped an I-Corps class for life sciences at UCSF with 25 teams. Hobart Harris led one of the teams. What Hobart learned and how he learned it is why we’re about to launch the I-Corps @ NIH on Oct 6th. Translational medicine will never be the same. We’ve pivoted our Lean LaunchPad / I-Corps curriculum. 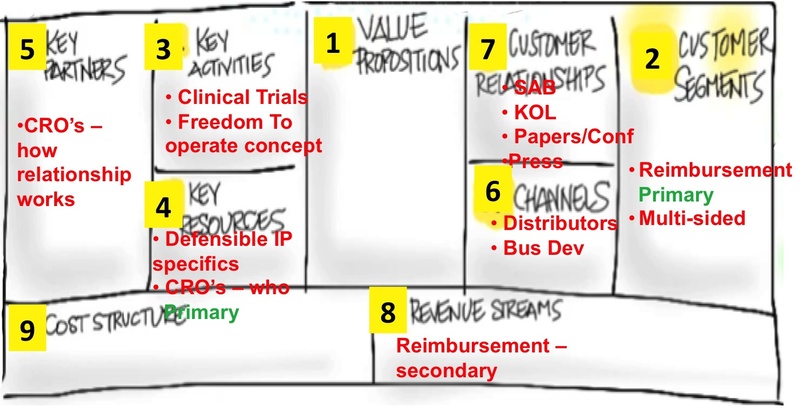 We’re changing the order in which we teach the business model canvas and customer development to better-fit therapeutics, diagnostics and medical devices. “Agile Engineering” to have teams prototype, test, and iterate their idea while discovering if they have a profitable business model. Teams talk to 10-15 customers a week and make a minimum of 100 customer visits. The Lean LaunchPad is now being taught in over 100 universities. Three years ago the class was adopted by the National Science Foundation and has become their standard for commercializing science. Today the National Institutes of Health announced their I-Corps @ NIH program. 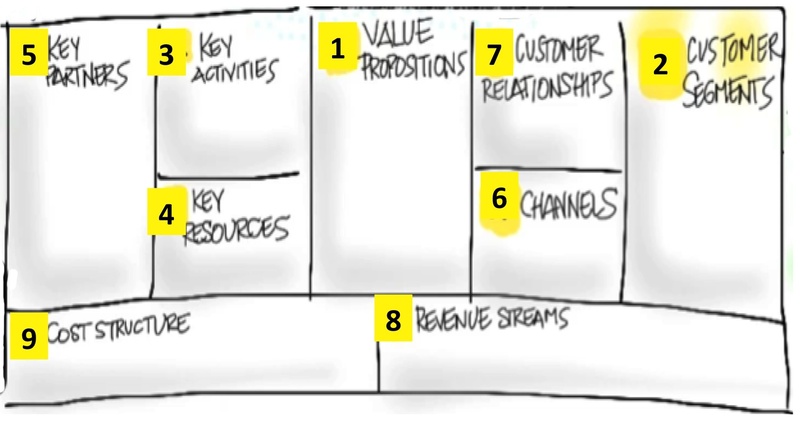 The one constant in all versions of the Lean LaunchPad / I-Corps class has been the order in which we teach the business model canvas. Value Propositions and Customer Segments are covered in weeks 1 and 2, emphasizing the search for problem/solution and then product/market fit. Next we teach Distribution Channels (how are you going to sell the product) and Customer Relationships (how do you Get/Keep/Grow customers) and Revenue Streams (what’s the Revenue Model strategy and pricing tactics.) Finally we move to the left side of the canvas to teach the supporting elements of Resources, Partners, Activities and Costs. Teaching the class lectures in this order worked great, it helped the teams understand that the right-side of the canvas was where the action was. The left- hand side had the supporting elements of the business that you needed to test and validate, but only after you made sure the hypotheses on the right were correct. This lecture order was embedded in the Udacity Lectures, the syllabi and educators guide I open-sourced. Hundreds of teams in the NSF, and my Stanford, Berkeley, Columbia, and UCSF classes learned to search for a repeatable and scalable business model in this way. It’s consistency was the reason that the NSF was able to scale the I-Corps from 15 to 30 University sites. So why change something that worked so well? Last fall at UCSF we taught 125 researchers and clinicians in therapeutics, diagnostics, medical devices and digital health in a Lean LaunchPad for Life Sciences class. While the teaching team made heroic efforts to adapt their lectures to our “standard” canvas teaching order, it was clear that for therapeutics, diagnostics and medical devices the order was wrong. 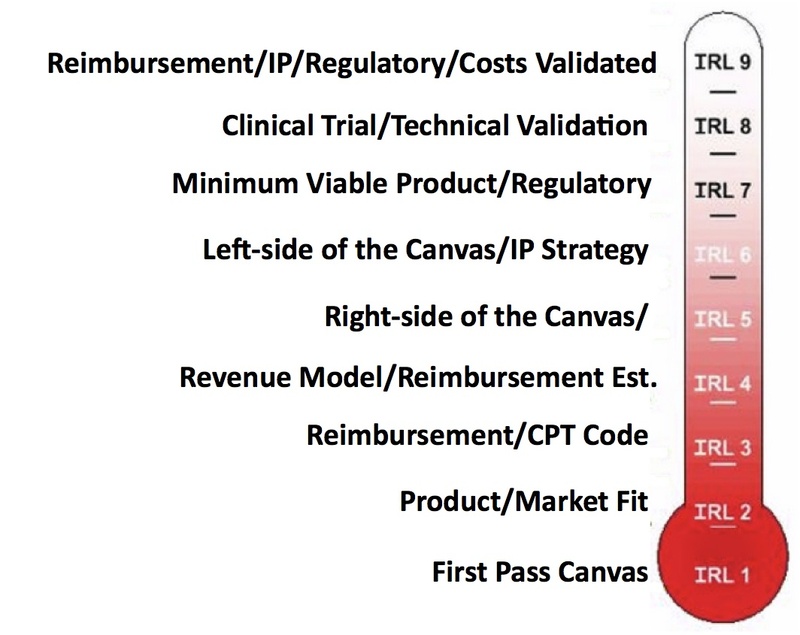 Hypotheses about Intellectual Property, Reimbursement, Regulation and Clinical Trials found on the left side of canvas are as, or more important than those on the right side of the canvas. I realized we were trying to conform to a lecture order optimized for web, mobile, hardware. We needed to cover Intellectual Property, Reimbursement, Regulation and Clinical Trials a month earlier in the class than in the current format. Activities are the key things you need to do to make the rest of the business model (value proposition, distribution channel, revenue) work. Activities cover clinical trials, FDA approvals, Freedom to Operate (IP, Licenses) software development, drug or device design, etc. Activities are not the product/service described in the value prop, they are the unique expertise that the company needs to deliver the value proposition. In this week we generally describe the business rationale of why you need these. The specifics of who they are and how to work with them are covered in the “Resource” and “Partners” lectures. Partners are external resources necessary to execute the Activities. You’ve identified the “class of partner” in the Resources box. This lecture talks about specifics – who are they, what deals work with them, how to get them, how to work with them. We think we now have a syllabus that will better fit a Life Science audience. Once the syllabus stops moving around we’ll open source it along with the educators guide this fall. Today the National Institutes of Health announced they are offering my Lean LaunchPad class (I-Corps @ NIH ) to commercialize Life Science. There may come a day that one of these teams makes a drug, diagnostic or medical device that saves your life. Over the last two and a half years the National Science Foundation I-Corps has taught over 300 teams of scientists how to commercialize their technology and how to fail less, increasing their odds for commercial success. After seeing the process work so well for scientists and engineers in the NSF, we hypothesized that we could increase productivity and stave the capital flight by helping Life Sciences startups build their companies more efficiently. So last fall we taught 26 life science and health care teams at UCSF in therapeutics, diagnostics and medical devices. 110 researchers and clinicians, and Principal Investigators got out of the lab and hospital, and talked to 2,355 customers, tested 947 hypotheses and invalidated 423 of them. The class had 1,145 engagements with instructors and mentors. The results from the UCSF Lean LaunchPad Life Science class showed us that the future of commercialization in Life Sciences is Lean – it’s fast, it works and it’s unlike anything else ever done. It’s going to get research from the lab to the bedside cheaper and faster. 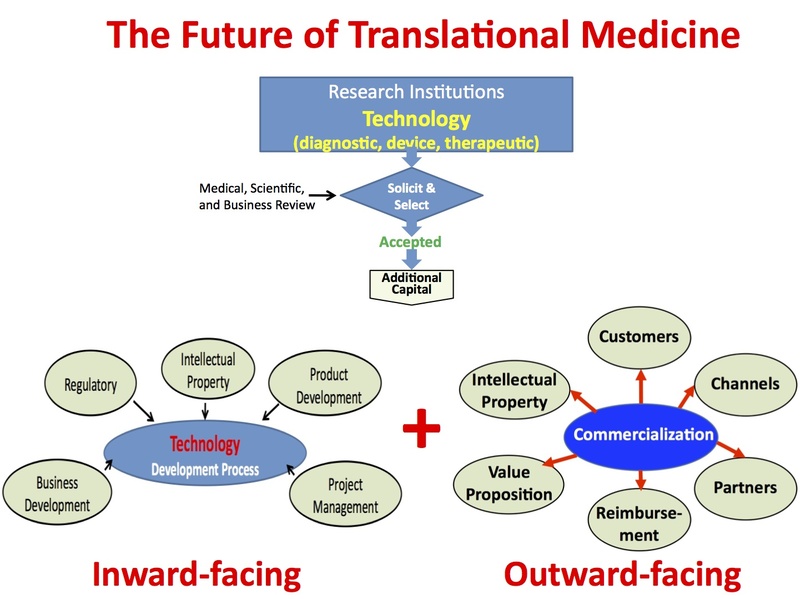 In life sciences the process of moving commercializing research –moving it from the lab bench to the bedside – is called Translational Medicine. 1) make a substantive discovery, 2) write a business plan/grant application, 3) raise funding, 4) execute the plan, 5) reap the financial reward. For example, in therapeutics the implicit assumption has been that the primary focus of the venture was to validate the biological and clinical hypotheses. (i.e. What buttons does this molecule push in target cells and what happens when these buttons are pushed? What biological pathways respond?) and then when these pathways are impacted, why do we believe it will matter to patients and physicians? We assumed that for commercial hypotheses (clinical utility, who the customer is, data and quality of data, how reimbursement works, what parts of the product are valuable, roles of partners, etc.) if enough knowledge was gathered through proxies or research a positive outcome could be precomputed. And that with sufficient planning successful commercialization was simply an execution problem. This process built a false sense of certainty, in an environment that is fundamentally uncertain. 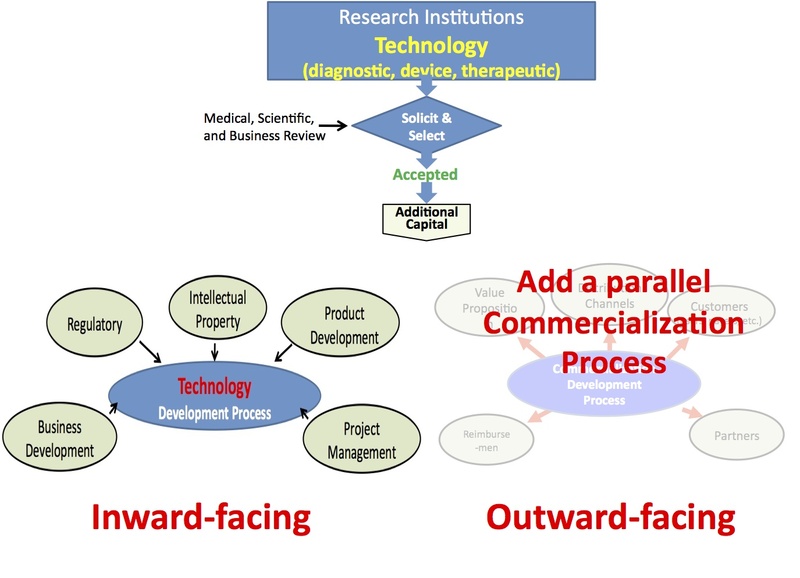 We now know the traditional translational medicine model of commercialization is wrong. The reality is that as you validate the commercial hypotheses (i.e. clinical utility, customer, quality of data, reimbursement, what parts of the product are valuable, roles of CRO’s, and partners, etc.,) you make substantive changes to one or more parts of your initial business model, and this new data affects your biological and clinical hypotheses. We believe that a much more efficient commercialization process recognizes that 1) there needs to be a separate, parallel path to validate the commercial hypotheses and 2) the answers to the key commercialization questions are outside the lab and cannot be done by proxies. The key members of the team CEO, CTO, Principal investigator, need to be actively engaged talking to customers, partners, regulators, etc. And that’s just what we’re doing at the National Institutes of Health. Today the National Institutes of Health announced the I-Corps at NIH. 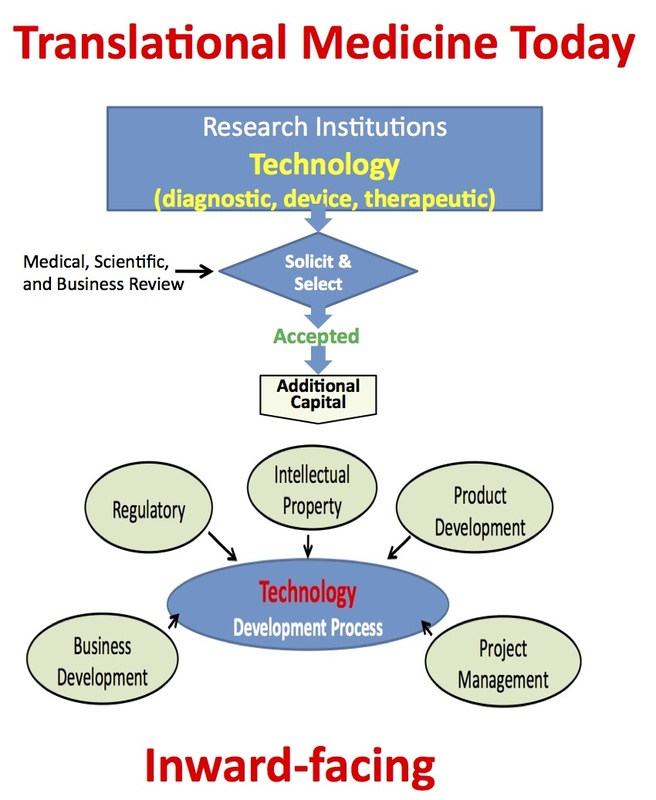 The National Cancer Institute SBIR Development Center, is leading the pilot, with participation from the SBIR & STTR Programs at the National Heart, Lung and Blood Institute, the National Institute of Neurological Disorders and Stroke, and the National Center for Advancing Translational Sciences. Like my Stanford/Berkeley and NSF classes, the I-Corps @ NIH is a nine-week course. It’s open to NIH SBIR/STTR Phase 1 grantees. Program Director/Principal Investigator (PD/PI): The assigned PD/PI on the SBIR/STTR Phase I award. If you’re attending the BIO Conference join our teaching team (me, Karl Handelsman, Todd Morrill and Alan May) at the NIH Booth Wednesday June 25th at 2pm for more details. Or sign up for the webinar on July 2nd here. This class takes a village: Michael Weingarten and Andrew Kurtz at the NIH, the teaching team: Karl Handelsman, Todd Morrill and Alan May, Babu DasGupat and Don Millard at the NSF, Erik Lium and Stephanie Marrus at UCSF, Jerry Engel and Abhas Gupta, Errol Arkilic at M34 Capital and our secret supporters; Congressman Dan Lipinski and Tom Kalil and Doug Rand at the OSTP and tons more. Is This Startup Ready For Investment? Since 2005 startup accelerators have provided cohorts of startups with mentoring, pitch practice and product focus. However, accelerator Demo Days are a combination of graduation ceremony and pitch contest, with the uncomfortable feel of a swimsuit competition. Other than “I’ll know it when I see it”, there’s no formal way for an investor attending Demo Day to assess project maturity or quantify risks. Other than measuring engineering progress, there’s no standard language to communicate progress. Corporations running internal incubators face many of the same selection issues as startup investors, plus they must grapple with the issues of integrating new ideas into existing P&L-driven functions or business units. While it doesn’t eliminate great investor judgment, pattern recognition skills and mentoring, we’ve developed an Investment Readiness Level tool that fills in these missing pieces. The startups in our Lean LaunchPad classes and the NSF I-Corps incubator use LaunchPad Central to collect a continuous stream of data across all the teams. Over 10 weeks each team gets out of the building talking to 100 customers to test their hypotheses across all 9 boxes in the business model canvas. We track each team’s progress as they test their business model hypotheses. We collect the complete narrative of what they discovered talking to customers as well as aggregate interviews, hypotheses to test, invalidated hypotheses and mentor and instructor engagements. This data gives innovation managers and investors a feel for the evidence and trajectory of the cohort as a whole and a top-level view of each teams progress. The software rolls all the data into an Investment Readiness Level score. Recently we ran a Lean LaunchPad for Life Sciences class with 26 teams of clinicians and researchers at UCSF. The teams developed businesses in 4 different areas– therapeutics, diagnostics, medical devices and digital health. 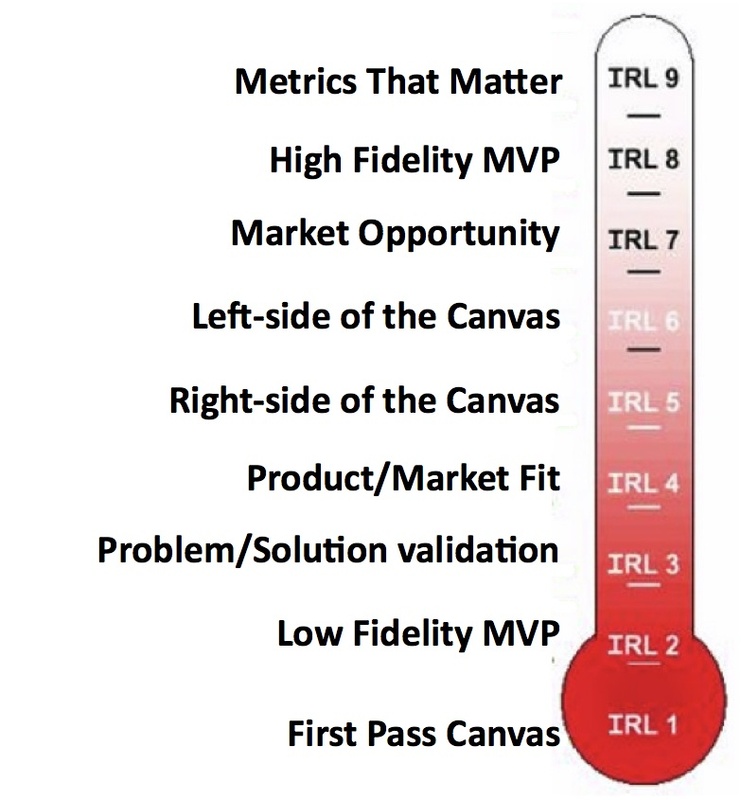 To understand the power of this tool, look at how the VC overseeing each market segment modified the Investment Readiness Level so that it reflected metrics relevant to their particular industry. Allan May of Life Science Angels modified the standard Investment Readiness Level to include metrics that were specific for medical device startups. These included; identification of a compelling clinical need, large enough market, intellectual property, regulatory issues, and reimbursement, and whether there was a plausible exit. In the pictures below, note that all the thermometers are visual proxies for the more detailed evaluation criteria that lie behind them. Karl Handelsman of CMEA Capital modified the standard Investment Readiness Level (IRL) for teams developing therapeutics to include identifying clinical problems, and agreeing on a timeline to pre-clinical and clinical data, cost and value of data points, what quality data to deliver to a company, and building a Key Opinion Leader (KOL) network. 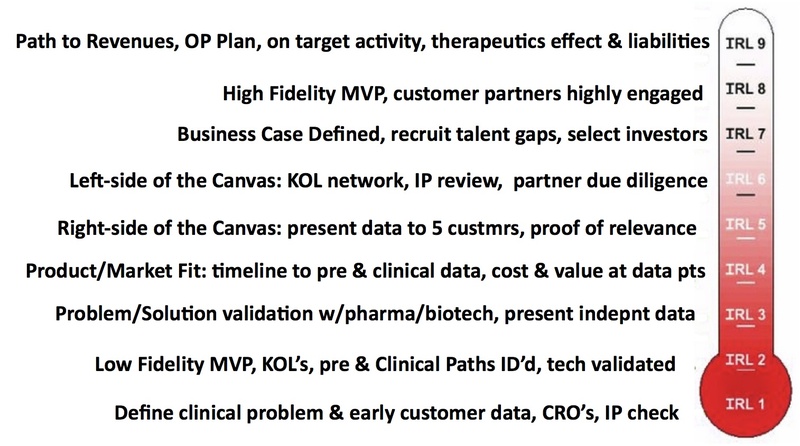 The heart of the therapeutics IRL also required “Proof of relevance” – was there a path to revenues fully articulated, an operational plan defined. Finally, did the team understand the key therapeutic liabilities, have data proving on-target activity and evidence of a therapeutic effect. For teams developing Digital Health solutions, Abhas Gupta of MDV noted that the Investment Readiness Level was closest to the standard web/mobile/cloud model with the addition of reimbursement and technical validation. Todd Morrill wanted teams developing Diagnostics to have a reimbursement strategy fully documented, the necessary IP in place, regulation and technical validation (clinical trial) regime understood and described and the cost structure and financing needs well documented. For their final presentations, each team explained how they tested and validated their business model (value proposition, customer segment, channel, customer relationships, revenue, costs, activities, resources and partners.) But they also scored themselves using the Investment Readiness Level criteria for their market. After the teams reported the results of their self-evaluation, the VC’s then told them how they actually scored. We were fascinated to see that the team scores and the VC scores were almost the same. Todd Morrill was the diagnostics cohort instructor. Matt Cooper CEO of Carmenta BioSciences was the Mira Medicine team mentor. Multiple Sclerosis – MS – is an immune system disease that attacks the myelin, the fatty sheath that surrounds and protects nerve fibers of the central nervous system (brain, spinal cord, and optic nerve). 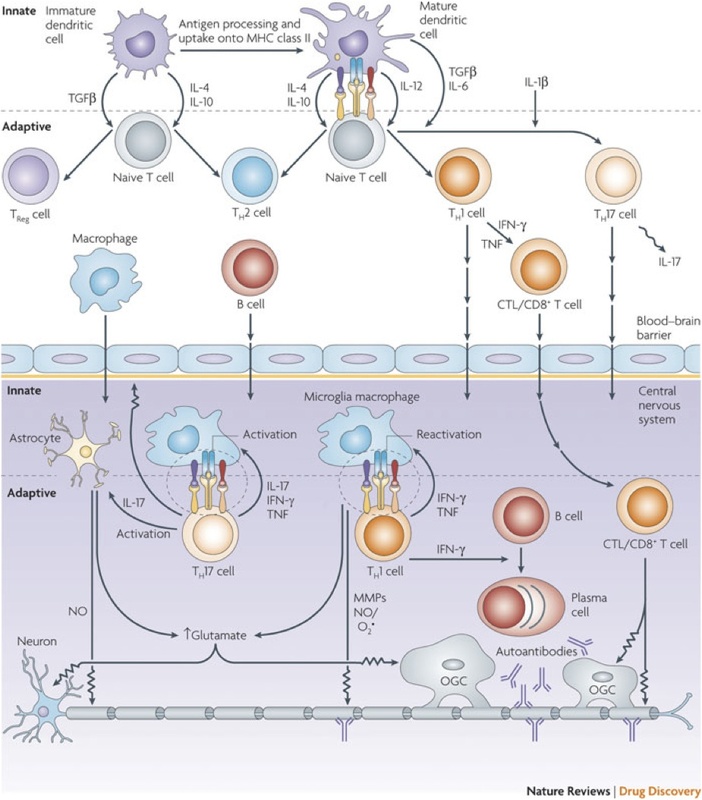 T-cells, (a type of white blood cell in the immune system,) become sensitized to myelin and cross the blood-brain barrier into the central nervous system (CNS). Once in the CNS, these T-cells injure myelin, and secrete chemicals that damage nerve fibers (axons) and recruit more damaging immune cells to the site of inflammation. There are currently ten FDA approved MS medications for use in relapsing forms of MS. None of these drugs is a cure, and no drug is approved to treat the type of MS that shows steady progression at onset. MS disease management decisions are complex and requires a patients neurologist to figure out what drugs to use. 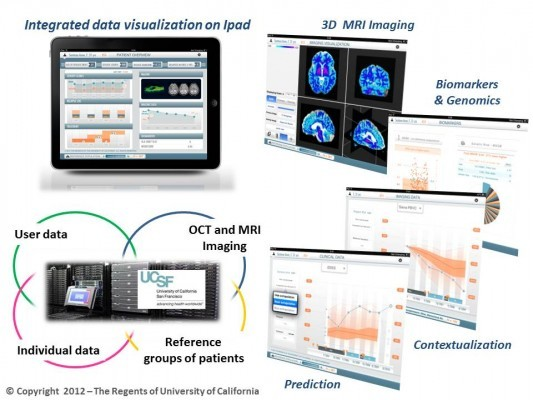 Mira wanted to commercialize the UCSF Multiple Sclerosis Bioscreen project and to add additional neurological diseases which require multiple types of data (including biomarkers, clinical, and imaging). They wanted to help medical centers and large providers assess disease progression to guide therapeutic decision-making. Over the course of the class Mira Medicine team spoke to over 80 customers, partners and payers. Then reality hit. First, the team found that their Multiple Sclerosis Bioscreen application (which they used as their MVP) was just a “nice-to-have”, not a “must-have”. In fact, the “must have features” were their future predictive algorithms. Next, they found that if their tool can enable a diagnosis, (even without claiming it could) then it was likely that the FDA would require a 510(k) medical device clearance. Then they found to get reimbursed they need a CPT code (and they had to decide whether to code stack – using multiple codes for “one” diagnosis, and thereby getting multiple reimbursements for one test. (The rules have changed so that code stacking is hard or impossible), Or get a new CPT code, or use miscellaneous code.) To get a new CPT and a 510(k) they would have to perform a some sort of clinical study. At a minimum a 1-year prospective study (a study to see if the neurologists using the application had patients with a better outcome then those who didn’t have access to the app). Getting approval to use an existing (aka old) CPT code means showing equivalence to an existing dx process or test, and the requirements are code-specific. Finally, to get access to data sources of other MS patients they would need to have HIPPA Business Associate Agreement. Watch their Lessons Learned video below and find out how they pivoted and what happened. Researchers and PI’s come in believing “My science/project/data are so good that people will immediately see the value and be willing to pay for it. It will “sell itself”. A successful business is the sum (and integration!) 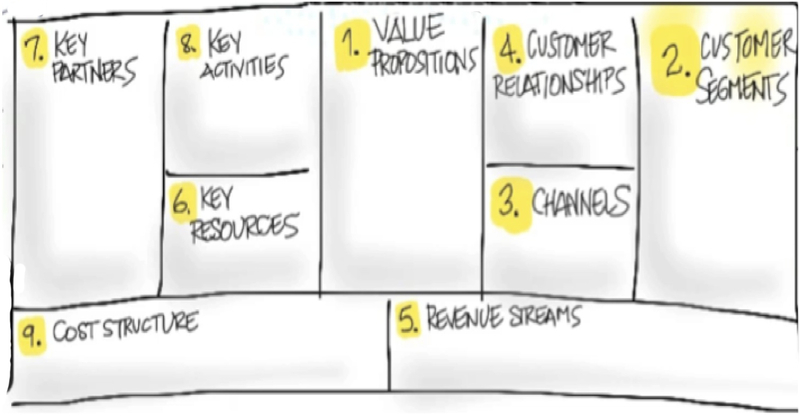 of all the parts of the business model canvas. It includes reimbursement, regulation, IP, validation, channel access, etc. We are redefining how translational medicine is practiced. We’ve learned that translational medicine is not just about the science. More on this in future blog posts. Dr. Hobart Harris Chief of General Surgery, Vice-Chair of the Department of Surgery, and a Professor of Surgery at UCSF. Dr. David Young, Professor of Plastic Surgery at UCSF. His area of expertise includes wound healing, microsurgery, and reconstruction after burns and trauma. Karl Handelsman was the therapeutics cohort instructor. Julie Cherrington CEO of Pathway Therapeutics was the team mentor. Vitruvian Therapeutics is trying to solve the Incisional hernia problem. 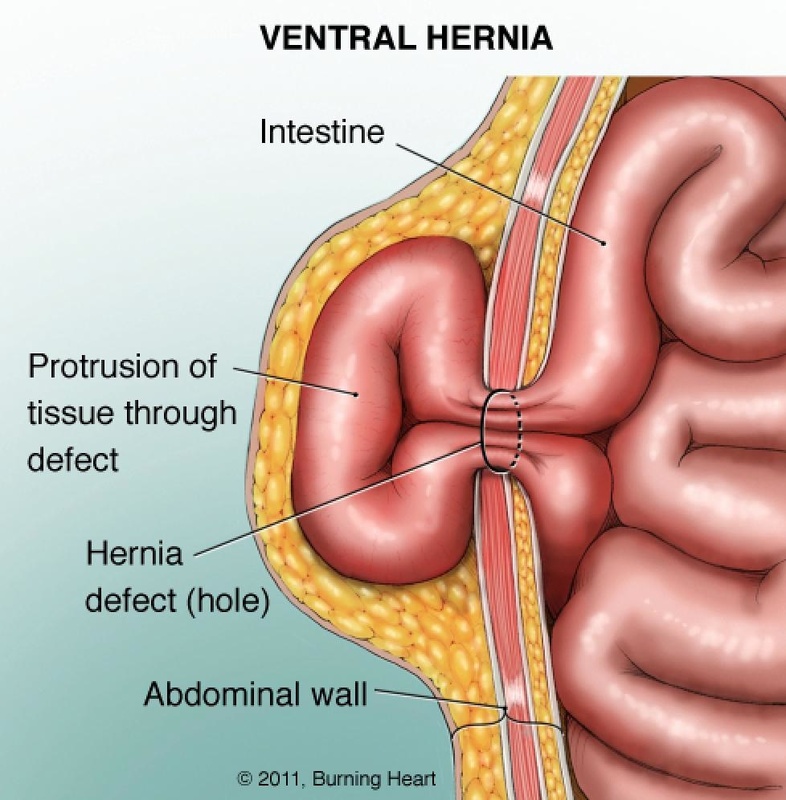 An incisional hernia happens in open abdominal surgery when the area of the wound doesnt heal properly and bulges outward. This requires a second operation to fix the hernia. Hobart Harris’s insight was what was needed wasn’t one more new surgical technique or device to repair the hernias, but something to prevent the hernia from occurring in the first place. Vitruvian Therapeutics first product, MyoSeal, does just that. It promotes wound repair via biocompatible microparticles plus a fibrin tissue sealant. So far in 300 rats it’s been shown to prevent incisional hernias through enhanced wound healing. Two weeks into the class and interviews with 14 of their potential customers (surgeons) reality intruded on their vision of how the world should work. We happened to catch that moment in class in this 90 second clip. Watch and find out how talking to just the first 14 customers in the Lean LaunchPad class saved Hobart Harris and the Vitruvian Therapeutics team years. If you can’t see the clip above click here. The Vitruvian Therapeutics Lessons Learned Presentation is a real-eyeopener. Given that this product could solve the incisional hernia problem, Hobart and his team naturally assumed that insurance companies would embrace this and their fellow surgeons viewed the problem as they did and would leap at using the product. Boy were they in for a surprise. After talking to 74 surgeons, insurance companies and partners appeared that no one – insurance companies or surgeons – owned the problem. Listen to their conclusions 8-weeks after the first video. Watch the video and find out how they pivoted and what happened. 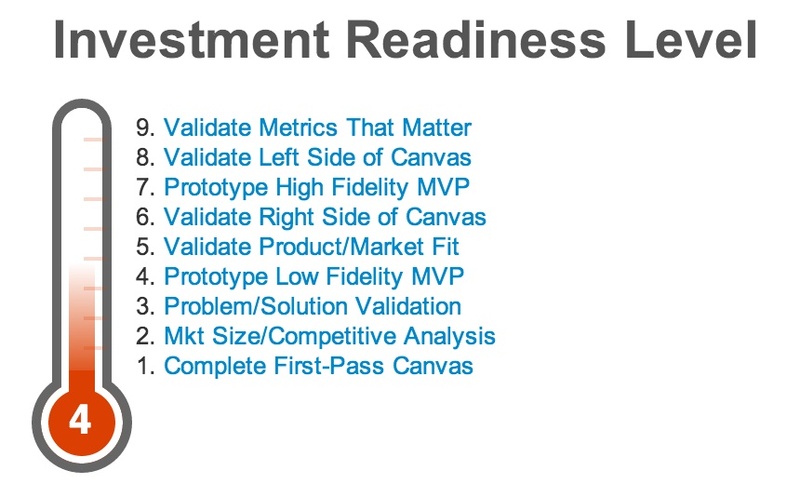 Don’t miss Karl Handelsman comments on their Investment Readiness Level at the end. Vitruvian is a good example of a great early stage therapeutics idea with animal data missing and many key components of the business model still needed to verify. During the class the Vitruvian Therapeutics class struggled with the classic question of visionaries: are we creating a New Market (one which doesn’t exist and has no customers)? 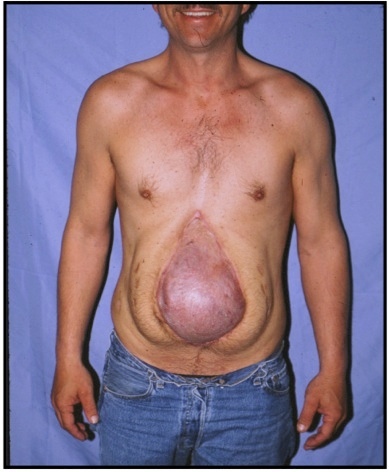 In Vitruvian’s case preventive measures to stop incisional hernias before they happen. Or should we position our product as one that’s Resegmenting an Existing Market? i.e. reducing leakage rates. Or is there a way to get proof that the vision of the New Market is the correct path. When Hobart Harris of Viturvian asked, “… what if you’re a visionary, and no one but you sees the right solution to a problem” we had a great in-class dialog. Karl Handelsman‘s comments at 3:15 and 4:16 and Allan May at 4:35 were incredibly valuable. See the video below for the dialog.